Food that could prove fatal to your pet this festive season. 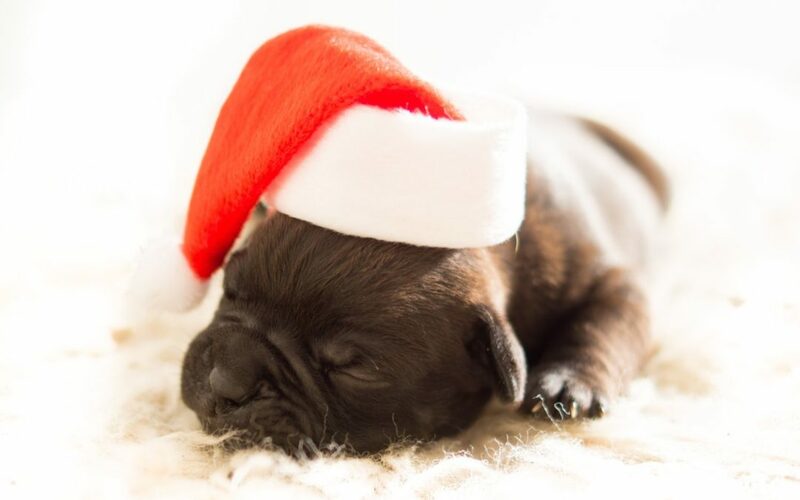 Christmas can be incredibly exciting for children, however it is potentially very dangerous for your pets. Copious amounts of chocolate are around at this time of year. It starts on December 1st with chocolate filled advent calendars, followed by hanging chocolate decorations on the tree and finishes with huge tubs of chocolate that are traditionally passed around at Christmas. Whilst over-indulging in chocolate may simply make us feel sick, it is highly poisonous to dogs. It contains a stimulant called theobromine that is similar to caffeine and can prove fatal to pets. It is also poisonous to cats, rabbits and rodents. Therefore, extra care must be taken to avoid putting chocolate decorations on the Christmas tree, even high up, they can fall off without you noticing and encourage your pet to try and climb to get to them. Avoid putting selection boxes, chocolate coins or chocolate gifts under the Christmas tree or within reach of pets – they will sniff them out and gift-wrapping won’t deter an enthusiastic dog. 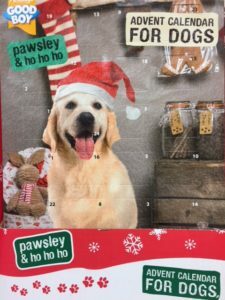 If you want to treat your dog at Christmas, get them an advent calendar specifically for dogs that contains dog safe chocolates. Different types of chocolate contain different amounts of theobromine. Dark chocolate contains the most theobromine and white chocolate contains the least. Although white chocolate doesn’t contain sufficient theobromine to cause poisoning, it has a high fat content and can cause pancreatitis. Theobromine mainly affects the heart, central nervous system and kidneys. Symptoms will occur from 4-24 hours after your dog has ingested chocolate and will vary depending on the amount of chocolate or theobromine your dog has eaten. What symptoms will I see? What to do if you think your dog has eaten chocolate? Contact your Vet as quickly as possible and provide them with as much information as you can about how much chocolate and what type your dog has ingested. Keep the wrappers and remains of the chocolate to take with you to the surgery. There is no antidote to theobromine. In most cases of chocolate poisoning, your vet will initially make your dog vomit, wash out their stomach and then feed them activated charcoal to absorb any theobromine left in the intestine. These contain dried fruit, which along with grapes, are toxic to dogs. Eating even a few can lead to severe kidney failure. Keep Christmas treats such as Christmas cake, Christmas pudding, mince pies, fruitcake and stolen well away from your dog. Chocolate covered raisins are doubly deadly for dogs. These nuts often popular at Christmas can cause a range of adverse symptoms in dogs including lameness, stiffness, tremor lethargy and raised temperature. Chocolate coated macadamia nuts are especially dangerous for dogs. Roquefort and other blue cheeses contain something called roquefortine C. This is a substance produced by the fungus used to produce these cheeses and dogs are sensitive to it. In extreme cases it can cause dogs to quickly develop muscle tremors and seizures. These may continue for 48 hours. Keep you dog away from traditional foods at Christmas that have a high fat content. Overindulgence by your dog can lead to vomiting and upset stomach. In worse cases it can lead to pancreatitis, which is painful for your pet. Dispose of any mouldy or out of date food carefully so that your dog can’t eat it. Mouldy or off food contains toxins that could make your dog ill, especially mould on bread, dairy products and nuts. Dogs may be drawn to cream-based or egg-based alcoholic drinks. However dogs are more sensitive to alcohol than humans and even a small amount can affect them adversely. Put all drinks out of a pet’s way. Don’t try and make your dog sick as this can sometimes cause other complications, which can also make your dog unwell.